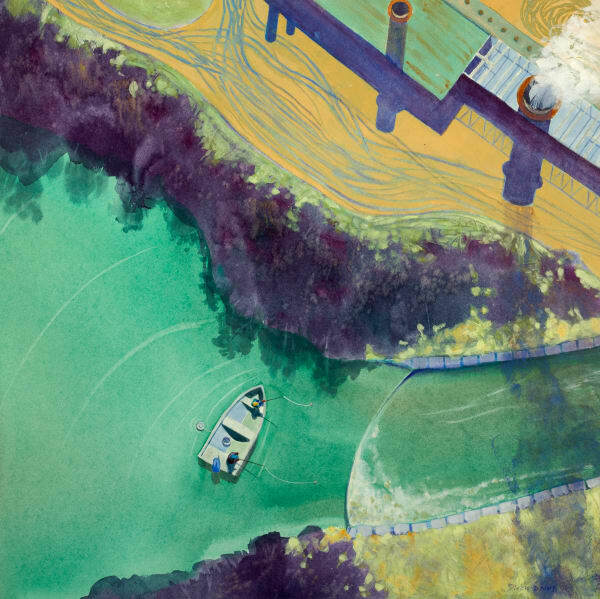 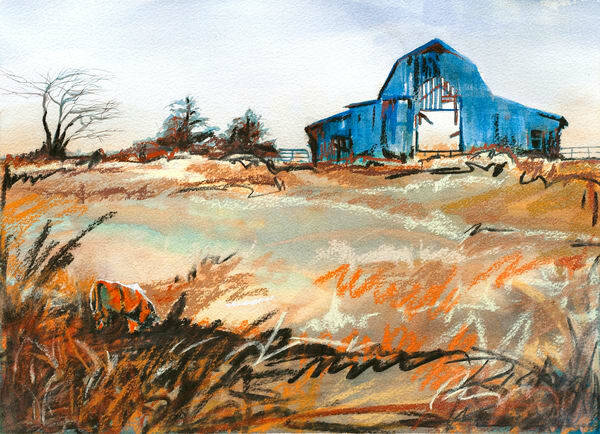 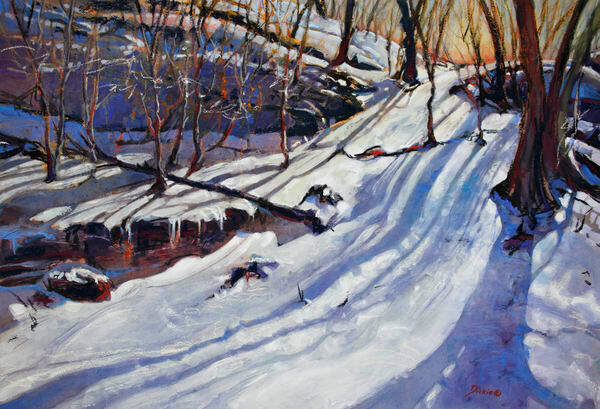 In winter, I am usually home in the Ozarks, working in my art studio. 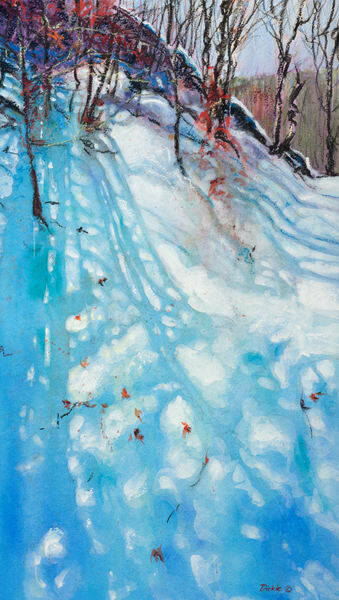 On any day, I look out at the ever-changing moods of Beaver Lake and Jackson Ridge on the other side of the cove. 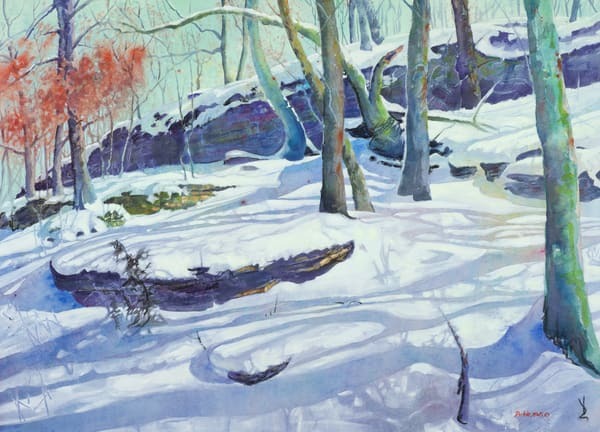 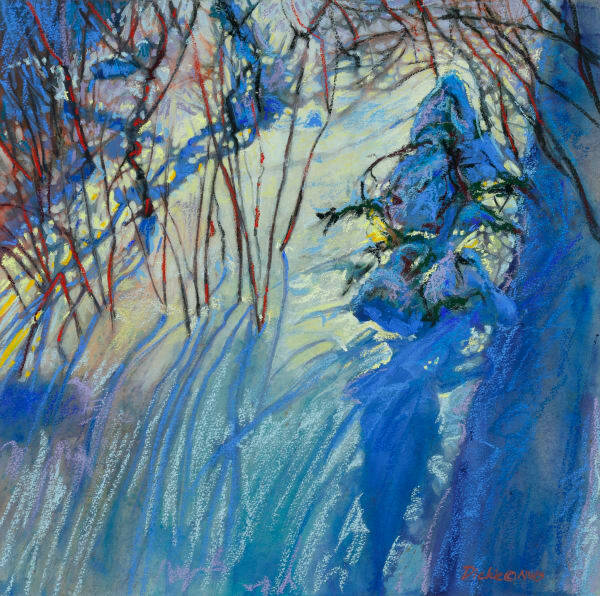 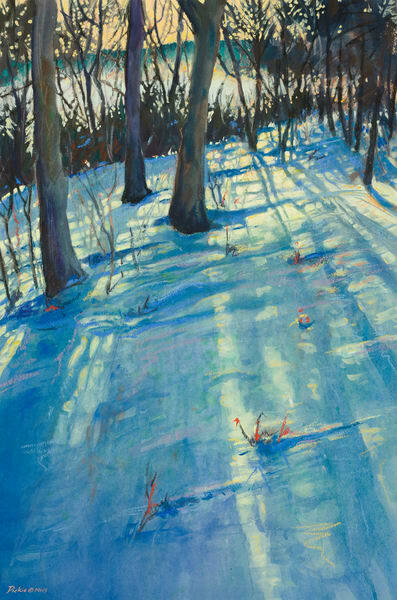 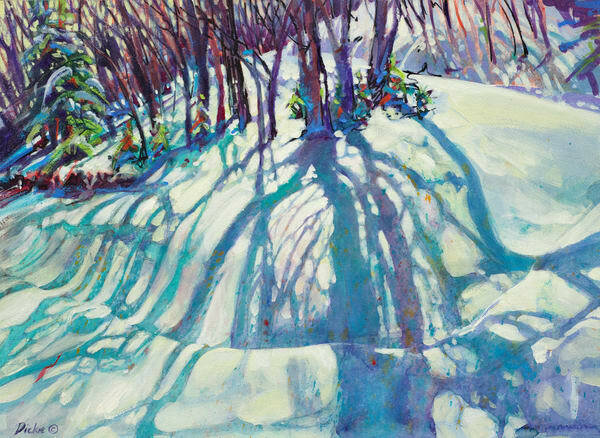 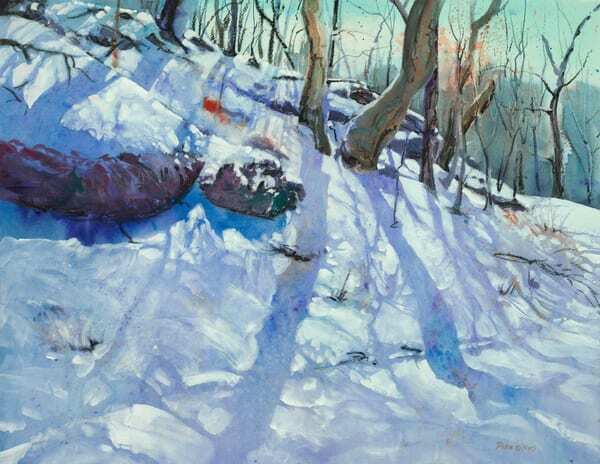 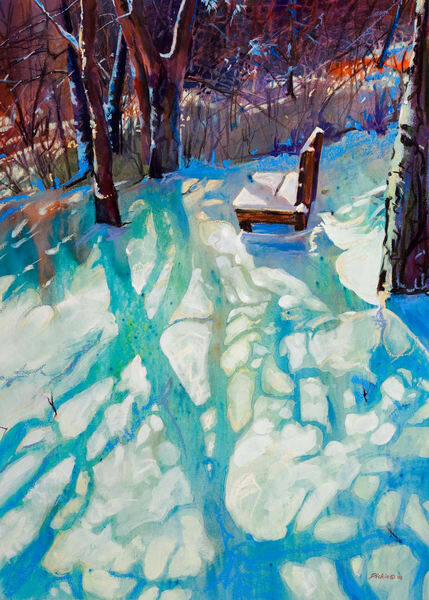 Several paintings capture my view, and others involve snow shadow patterns that delight and amaze me. 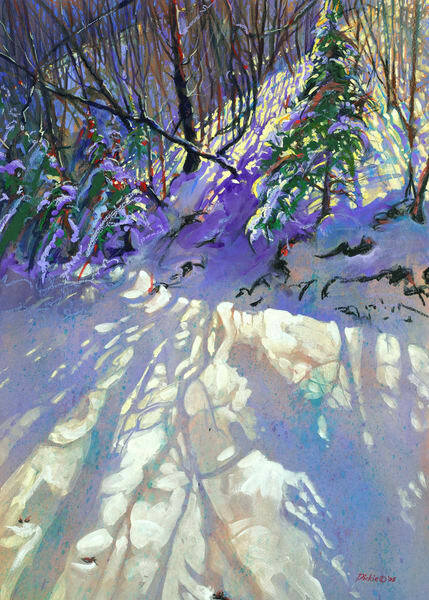 I love the solitude of winter and the time it provides for making art. 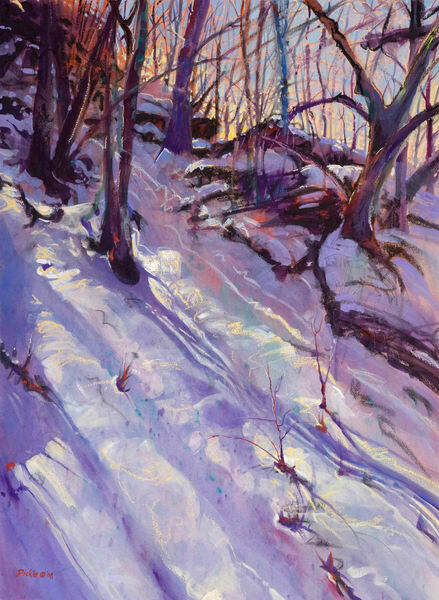 Painting in my studio on a cold, blustery day is about as good as it gets.